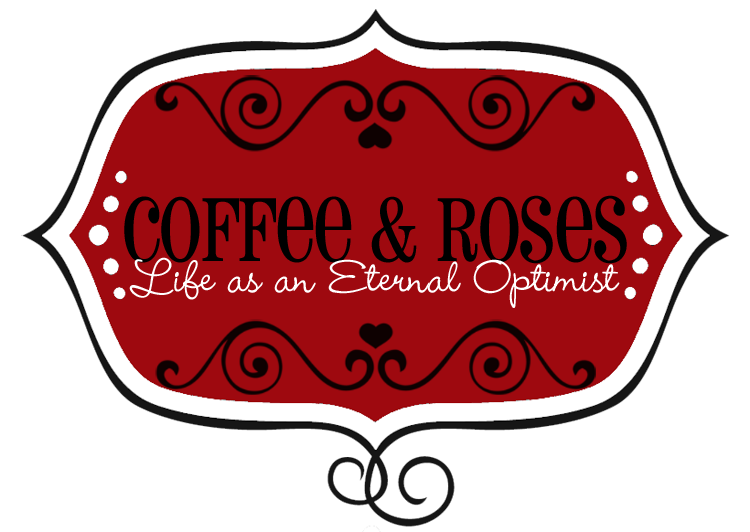 This week, I'm really excited to welcome the brilliant and very lovely NICOLA MAY into the Coffee and Roses Writer Spotlight. I first came across Nicola's amazing book Working it Out last year on Authonomy.com, and fell in love with it. So, when I saw on Scott Pack's blog that Nicola had self-published her novel, I just had to get in touch and invite her to share her story here! I actually didn’t start writing until my thirties. I was working in PR at the time, loved a drink and smoked 20 a day and was dared to run a half marathon. I thought it would be quite funny to create a comedy diary of events throughout my tough training. Amazingly, I completed the marathon, but didn’t finish the diary. It did, however, give me the writing bug. Everything! I love creating characters, especially the more eccentric ones. When ensconced in a novel, it does take over my mind. I’m thrilled when I have a Eureka! moment on a plot. Once I get started I don’t stop. I can write for six to eight hours and suddenly realise I haven’t eaten, and I love eating! I have been known to get up in the middle of the night if an idea suddenly hits. What made you decide to write Working it Out? After my stint in PR, I did a lot of contract work in Event Management. Between major contracts I did do the odd temp job. It was when I was in a Portakabin in the middle of a field, with a mad Greek developer who swore and smoked constantly, that the idea struck - for someone to do twelve jobs in twelve months and see where it would lead them. My then literary agents loved the idea and the actual title came immediately, which didn’t happen so quickly for the first two novels. My first novel, Star Fish is also based on a ‘twelve’ theme: Piscean Amy Anderson can’t find love and decides to date each sign of the zodiac until she finds the man of her dreams. Working from bed and only having to answer to my characters. And of course, just recently, making people happy when they tell me how much they’ve enjoyed the book. Being broke at the moment. I took a part-time job to focus heavily on my writing as it is what I want to do full-time. Being self-published, you don’t get a juicy advance. I am working on a novel called The School Gates. This one focuses on four very different mothers, one adorable dad and the inter-twining trials and tribulations a year at the primary school gates brings. It has comedic moments, but is a little darker than Working it Out. You've written three novels, one of which you’ve self-published. Do you have any tips for aspiring writers? Working it Out is actually the first novel I have put into print and on Kindle. The other two are ready and waiting once I see what response I get to this one. I did have an agent and went the traditional route with them, but to no avail. However, I read between the lines of a lot of positive rejections, re-wrote this one and took the plunge myself at a minimal cost. My main tips would be: Persistence over resistance. Take criticism on the chin and learn from it. Get a good copy editor and - be bold! I would love to write a sitcom. I went on a sitcom course once, and the tutor said I was ‘too innuendo and panto-like’, then along came Miranda, which I love! My other dream is to be able to write the screenplay of Working it Out. I can see it already: Working it Out - a Working Title Film. Mr Curtis, I hope you’re reading this, as you would do a much better job! 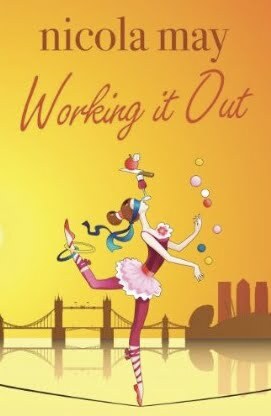 Working It Out is a wonderfully warm, laugh-out loud novel with characters you will really love. I absolutely fell in love with Ruby and her quest for her perfect job and it’s the kind of special book that only comes along once in a while. I thoroughly recommend it – buy the book now before Nicola becomes a major star in women’s contemporary fiction! For more details on Nicola and to purchase a signed copy of Working it Out, go to www.nicolamay.com. Her novel is also on sale online at Waterstones, WHSmith and Amazon, and also as a Kindle version. Would you like to feature in a future Writer Spotlight on my blog? Email me at coffeeandroses@gmail.com!